Home › Contest › Slip Sliding Shoe Laces. It seems I should have taken the advice I gave to David Lawrence over at the The Quinquagenarian Runner (I totally had to cut and paste the title of his blog..) back on the 1st…. Well, as you may (or may not) be aware, I am building up my base this year. I’m not allowing my memories of being a runner determine how far I run, instead I am focusing on where I am NOW, and keeping that in mind as I design my weekly mileage. I think this is going to be the perfect plan to get to the Marine Corps Marathon injury free as long as I didn’t start my training out to fast and to high mileage. Well, after a week of using a 2.3 mile course, it seemed it was time to raise the bar a bit (10% or so), so I added a loop in.. 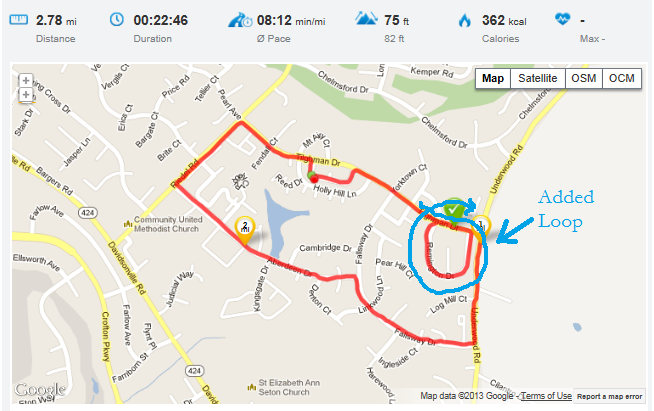 I blew my measurement, instead of adding in .2 or .3 miles, I added in .5. 10% is much harder to add in on short distances. Unfortunately the loop puts me at repeating a short distance.. I am never a big fan of that – but since it is a small distance, and near the beginning, I think I can keep my big boy pants on and deal with it. You can see in the map that there are plenty of little loops to add in for slow increases in distance, as well as looping up to Chelmsford to add a bit more. I like loops far more than “out and back” routes. I like variety in my terrain and views! 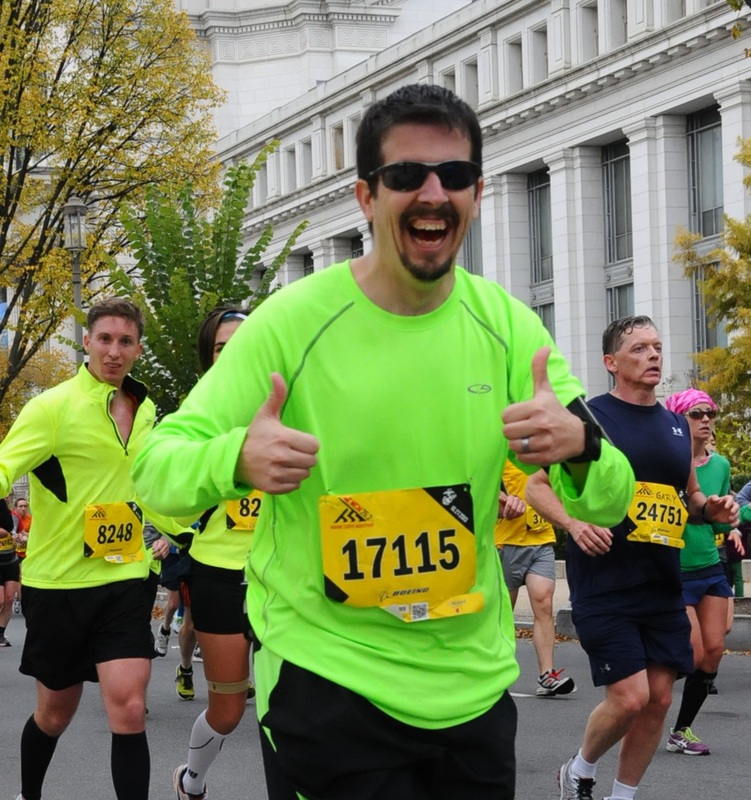 My time for the run wasn’t to bad – averaged right around an 8:12 mile according to Runtastic. At the very end, for maybe 500 feet or so – I felt a sharpish pain in the top of my left knee cap. Not a fan of this, and really hoping it is a one time occurrence! I’d be interested in a review of the lock laces. I just can’t imagine that I could get the kind of control I like to get out of elastic laces. I would be happy to donate a couple pair of Bubble Laces so you can do a side-by-side comparison. I can crank them down tight where I want, and leave them loose where I need them to be and still get a good tight knot that doesn’t come undone.